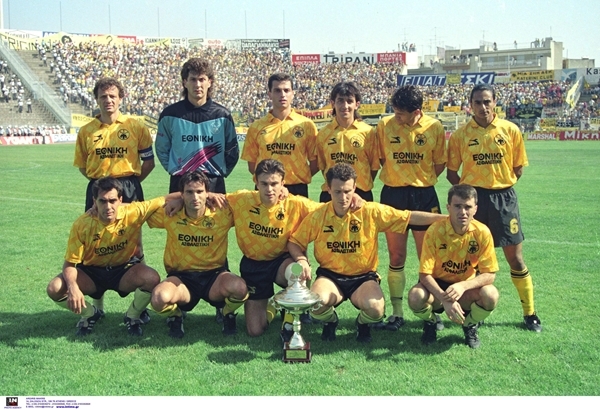 The first of three consecutive league titles, after the renewal of the squad during the summer of 1991. AEK played attractive football and were crowned after ten consecutive wins from the 24th until the 33rd match day. Vassilis Dimitriadis was the League's top scorer with 28 goals.